The European CanCer Organisation (ECCO) is a not-for-profit federation that exists to uphold the right of all European cancer patients to the best possible treatment and care, promoting interaction between all organisations involved in cancer at European level. ECCO aims to raise awareness and improve prevention, diagnosis, treatment and care of cancer patients. CEO of ECCO Birgit Beger spoke with us at Research Outreach to discuss their work and more in greater detail. According to the World Health Organization, cancer causes 20% of deaths in the European Region. With more than 3 million new cases and 1.7 million deaths each year, cancer is the most important cause of death and morbidity in Europe after cardiovascular diseases. But what about the lucky survivors and the care and treatment they need to recover? How can we ensure that patients have access to the best possible treatment and care? How can care for cancer patients be improved across Europe? These are the many questions and key focuses for the European CanCer Organisation (ECCO). 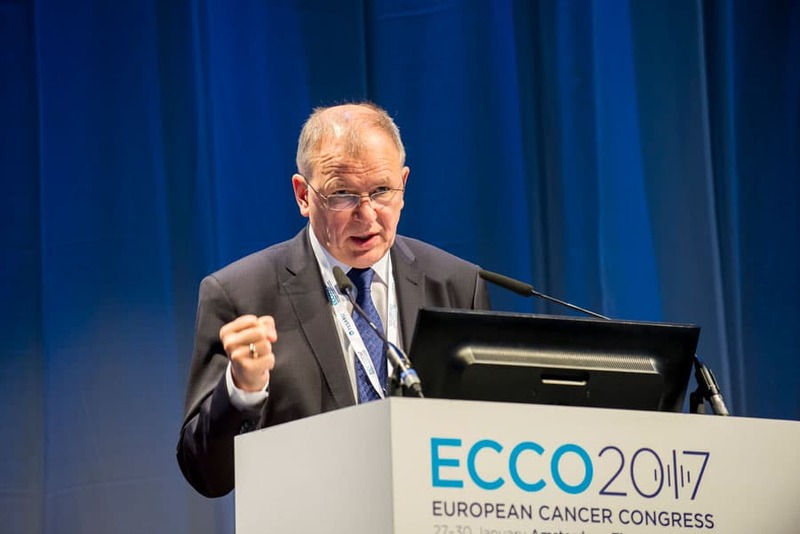 ECCO connects the European cancer community by leveraging knowledge, promoting education and building awareness. ECCO also plays an important role in engaging with policymakers to promote the interests of cancer patients, research as well all other members of the oncocommunity. We caught up with ECCO’s CEO, Birgit Beger, who outlines the role of the organisation, its influence so far and, more importantly, the future of cancer care. Hey Birgit! Could you tell us what your role involves as the CEO of ECCO? Being CEO of ECCO is a very exciting and enriching task where I learn every day. As CEO, I implement the decisions of our members and help to sustain and develop the organisation in a way that ensures the fulfilment of its vision and core purpose. What are ECCO’s core principles in terms of history, heritage and background, and which areas of cancer research are you currently looking into? ECCO was established in 1981 to unite all healthcare professionals in oncology with the aim to improve health outcomes for all patients. Being a federation of European Associations, ECCO needs to bridge together different professional traditions and cultures like those of surgeons, radiologists, medical oncologists, pathologists, pharmacists, researchers, nurses, psychologists etc. ECCO is a patient centric organisation that involves a close and early collaboration with 15 European patients’ organisation in all ECCO’s activities. ECCO’s vision is to improve outcomes for all cancer patients in Europe through multidisciplinarity. There is no golden standard: recommendations can lead the way to improve each health care system by providing a toolbox for change. Our research greatly reflects the debate on quality cancer care. For selected tumour types, ECCO has produced ‘Essential Requirements for Quality Cancer Care’ (ERQCCs). These provide oncology teams, patients, policymakers and managers an overview of the elements needed in any healthcare system to provide high-quality care throughout the patient journey. How influential has ECCO been on cancer research since it was first established? ECCO is contributing to cancer research through several avenues. Firstly, ECCO has organised scientific congresses for its members. For example, ECCO organises a joint symposium for the European Organisation for Research and Treatment of Cancer (EORTC), the National Cancer Institute (NCI) and the American Association for Cancer Research (AACR). Secondly, ECCO is a founding member of the Alliance of Biomedical Research in Europe, which represents a unique initiative of leading European medical societies that together include more than 400,000 researchers and health professionals. In this context, ECCO assisted in advocating for the establishment of the European Commission’s Scientific Panel for Health (SPH). Thirdly, ECCO is a longstanding partner of the Joint Research Centre, which provides the European Union with scientific knowledge when formulating policies and legislation. Lastly, ECCO also sets its own focus on cancer research, by providing feedback to the European Commission to its consultation on the Advisory group report for the Horizon 2020 Societal Challenge on health, demographic change and well-being. From a more personal perspective, are there any achievements you are particularly proud of? ECCO looks back to a heritage of extensive engagement of its members and a series of 18 very successful congresses bringing science and research forward and being a cornerstone in scientific progress by representing inter alia latest clinical trial data. Devising a strategic renewal in 2013/2014, ECCO has decided to put more focus on oncopolicy, i.e., marrying science and policy to help improve the outlook of oncology. In addition to this, we have set new priorities for policy and advocacy, uniting our members in fresh positions in respect to, not only quality cancer care, but also access to innovation, integration of care, as well as emerging oncology workforce issues. Where there is a grand debate concerning the future of cancer care, ECCO intends to help its members to be present, articulate, and advocate for the interest of best quality patient care and outcomes. What impact does ECCO’s link to the European Journal of Cancer have on communicating cancer research between fellow researchers, and the public? The beauty of The European Journal of Cancer is its true spirit of multidisciplinary enquiry and reflection. It ensures a real coming together of researchers in clinical practice from a great variety of fields. The abstracts of the ECCO Congress have always been part of the publications in the European Journal of Cancer (EJC). This allows fellow researchers to connect in between the congresses and stay up-to date with the latest research. ECCO tries to bridge the world of fellow researchers, healthcare providers in oncology and the broader public on burning topics in oncology. Our latest paper sets out that access to innovation is about more than pharmaceuticals alone. It challenges our own professions to identify potential areas of inefficient or outdated practice and treatment. It also brings the use of real world data to the heart of the access debate. These and more act as an example of how ECCO would like to bring about awareness and change into cancer research and beyond. In September next year, ECCO will be holding its 2018 European Cancer Summit in Vienna – What is the significance of this and what influence do events like these have on installing a community movement in cancer research? With ECCO’s strategic renewal, the format of our congresses was redesigned. The ECCO 2017 Congress in Amsterdam in January 2017 showed the many innovative concepts in bringing research, science and policy closer together. The ECCO 2018 European Cancer Summit takes place in Vienna, Austria on 7–9th September 2018. It aims at taking the congress to a higher level, namely to a summit where worldwide leaders from the cancer healthcare, patient advocacy and stakeholder communities come together in a unique multidisciplinary forum. The idea is to complete the summit with the agreement of consensus resolutions by leaders in cancer policy, which will shape oncopolicy in health care systems across Europe. To connect science with real life, outcome research forms a decisive part, i.e., using real-world data to observe how new treatments and diagnostic modalities have performed in cancer care delivery. Health economics of cancer care is another topic, which is highly connected with outcome research and cannot be surpassed in any oncology debate today. Lastly, ECCO aims to focus on the patient voice to determine an agreed vision for guiding and supporting patients through diagnosis, treatment and follow-up in a world facing an ageing population, increasing survivorship and a technological revolution in e-health resources. Do you think cancer research receives as much funding and attention as it should? From a European perspective, the European Commission sees cancer research and cancer control still as an important topic, though health policy overall does not seem to be high on the priority list of the current Commission. However, we are delighted that a new EU ‘Joint Action’, following CanCon and aiming to implement the CanCon European Guide on Quality Improvement in Comprehensive Cancer Control, will start in 2018. The EU’s research programme, Horizon 2020, has also set aside substantive resources for cancer research. This reflects the demographic changes and the increase of cancer incidences, but also the growing success in treating cancer, which provides strong motivation among politicians to invest in cancer research. However, the more research advances, the more it becomes apparent how many gaps there are still to close before science is anywhere near mastering cancer. Though there is the firm belief among researchers that cancer will be curable, there needs to be more research into the varieties of cancer we discover. The perception and understanding of cancer has become much more differentiated and will have to become even more so to help advance with therapies delivering best health outcomes. Although your name has a European focus in its title, do you extend your research outreach to collaborate with other countries internationally? ECCO has longstanding relationships with the American Society of Clinical Oncology (ASCO) and with the Japan Society of Clinical Oncology (JSCO) including via joint sessions at each other’s congresses. Our research greatly reflects the debate on quality cancer care: what are the elements required to deliver high quality cancer care for all patients in Europe? Established in 1999, ECCO has been co-organising the Methods in Clinical Cancer Research (MCCR) Workshop, which is an educational programme that introduces junior clinical oncologists in any oncology subspecialty to the principles of good clinical trial design. The workshop is the product of co-operation between ECCO, the American Association for Cancer Research (AACR), European Organisation for Research and Treatment of Cancer (EORTC) and the European Society for Medical Oncology (ESMO). The junior clinical oncologists not only come from all specialties, but also from all over the world, which makes the workshop an international and inspiring event. Beyond this, ECCO also strives to cooperate more on a policy level. For example, the question of protocols for clinical trials, clinical trial data and ethical questions are of international relevance and therefore, a joint approach is highly desirable. ECCO is also involved as a contributing member of the Union for International Cancer Control (UICC) and aims at being an active partner internationally wherever there is common ground for the development of policy, for example via the World Cancer Declaration. Which direction would you like to see cancer research going in the future and how will ECCO’s leadership strategy play into this? Given the dimensions addressed above, the growing importance of cancer research, and the global co-operation needs, ECCO’s role of fostering multidisciplinary throughout the European region, but not stopping at this, is the right way forward. One large task is to deal correctly with data. The means of our age, electronic tools and systems seem to offer endless opportunities if the society manages to harness them in an ethical and legally correct manner. One of the challenges that remains today is the integration of data generated in one component of healthcare delivery into the wider healthcare IT system, so that in terms of providing good patient care, a more seamless record can be shared across all three fields of primary, secondary and social care. For cancer research, the need to collect data as well as to share results from clinical trials, independent of whether they are positive, negative or inclusive, is decisive. Despite the establishment of Cancer Registries and European Reference Networks, there are still many steps ahead before the challenge of data is managed appropriately in cancer research. For more information about ECCO, their upcoming events or the European Journal of Cancer, please visit ECCO’s website at www.ecco-org.eu.